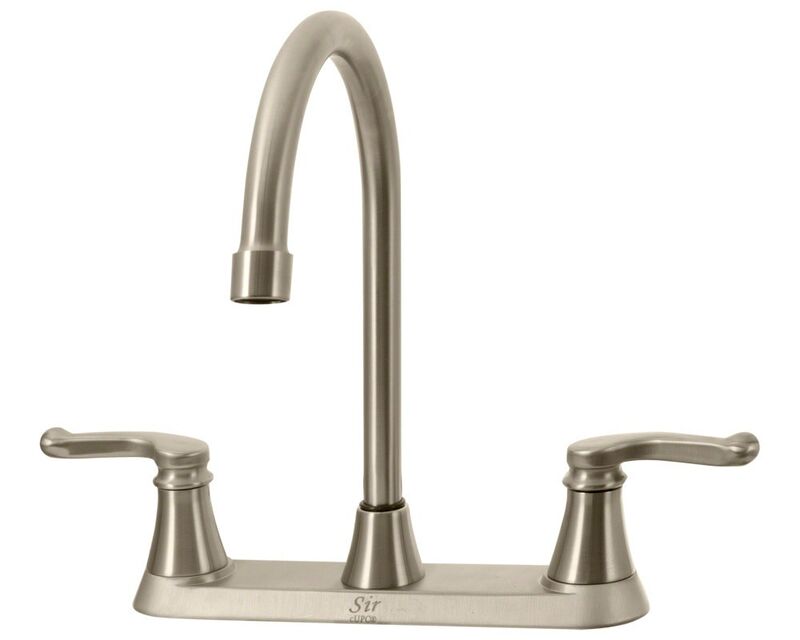 The 7142-BN Double Handle Faucet features long smooth curves that will add a touch of class to any kitchen. The graceful handles compliment the tall curve of the swiveling spout. Available in a brushed nickel finish this unit is tested to perform properly for the long haul. ADA approved, and backed by our limited lifetime warranty is proof that this is a quality faucet. A matching spray hose is optional.